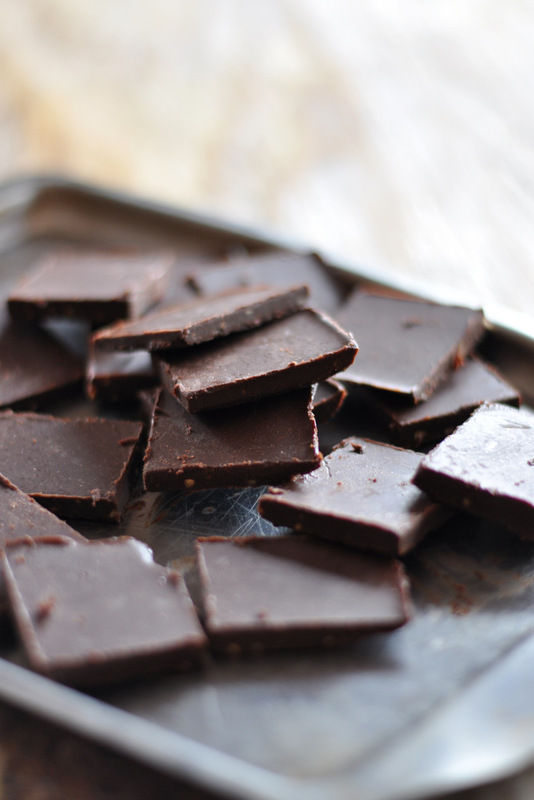 Have you ever tried raw chocolate or even better still, tried to make our own? It isn’t half as difficult as you may think. I can still remember a few years ago when I ordered my first ever bag of raw cacao powder from the internet. I was soooo excited! Because I have a seriously sweet tooth and I love chocolate. I couldn’t wait to open the bag and taste this amazing, super nutritious stuff. And then… Disappointment. It was so bitter. Of course it was. It was raw cacao powder, on its own. Not paired up with a whole load of sugar, cacao butter and other stuff. I don’t really know what I was expecting. Seriously. It kind of shows how hardwired our taste expectations are too, doesn’t it? Have you ever had a similar experience? Our taste buds seems to so be closely connected to our sense of smell, and any previous taste experiences are safely stored for future reference in out memory. Perhaps this was once a form of protection, essential to survival? I do remember reading somewhere that taste is strongly linked to an innate recognition of the safety of eating plants growing wild in nature. If something doesn’t taste pleasant we are less likely to swallow it. We are much more likely to spit it out instead. Which comes in very handy if the food is actually a poisonous one! I often hear people say “I don’t like this”. ” I don’t like that, it’s too bitter (or not sweet enough!)”. The thing is, our taste buds are a bit like the rest of our body, they can change and develop with practice. There’s lots of foods I didn’t like a few years ago but which are now clear favourites. Things like ginger, beetroot and tahini where not exactly love at first sight for me. Instead the flavor-relationship with these foods have gradually evolved and deepened over time. You really need to persist and keep trying things for a good few times before you completely dismiss a new food. Practice. Patience. Persistence. Like with so many other things in life. This recipe is a creation I came up with after a little conversation and inspiration on Instagram. I have experimented with raw chocolate for a few months and some experiments has been less than successful. Others a little better. I came across the stunning feed of Ditte Ingemann (@ditsen) and she has by far one of my favourite Instagram accounts. 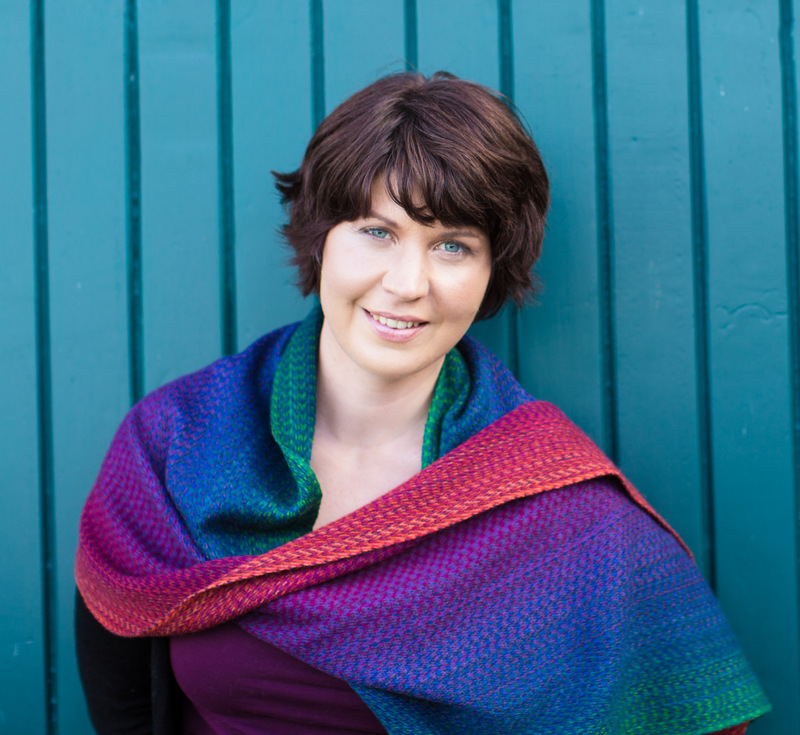 She also has a lovely website, in Danish. 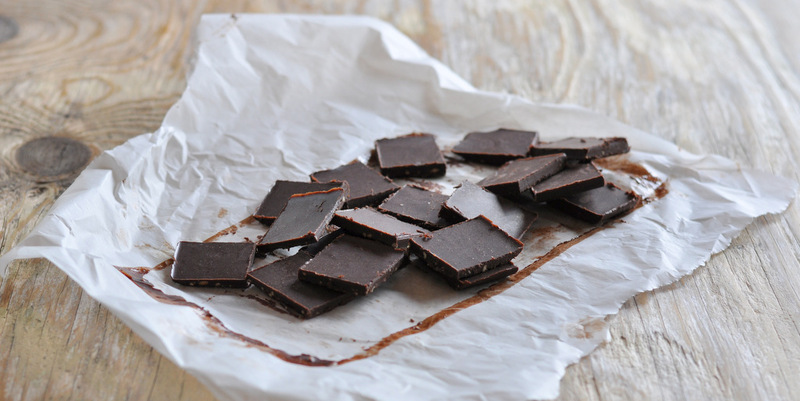 Anyway, one day Ditte posted this gorgeous picture of some raw chocolate which she had adapted from another recipe. She kindly gave me the bones of the recipe and her ingredients and I took it from there, using what I happened to have to hand. If you are trying to cut down on sugar but not on flavour, then this chocolate might be for you. I have found maple syrup to work best when you make raw chocolate like this. 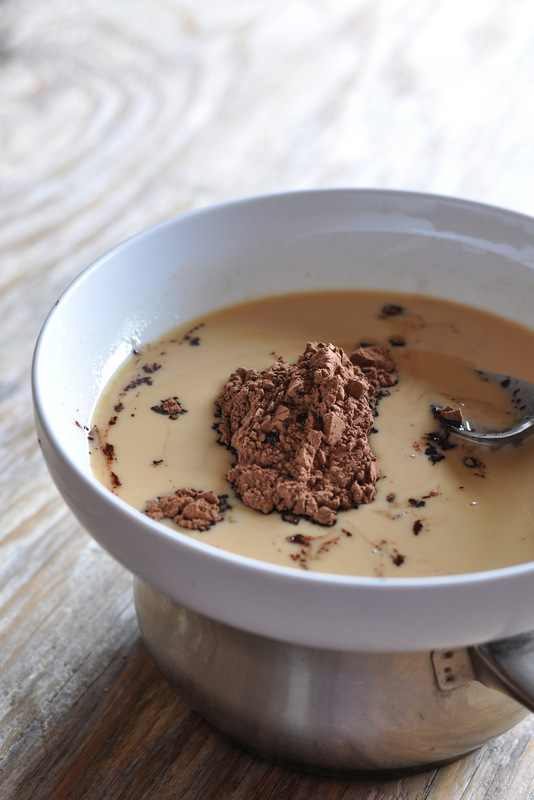 It gives the cacao a lovely sweetness without being overpowering and integrates quiet easily with the fats. The ingredients for making raw chocolate at home, may not be the cheapest but on the upside, you’ll get something that is so jam-packed with flavour that a little goes a long way really. 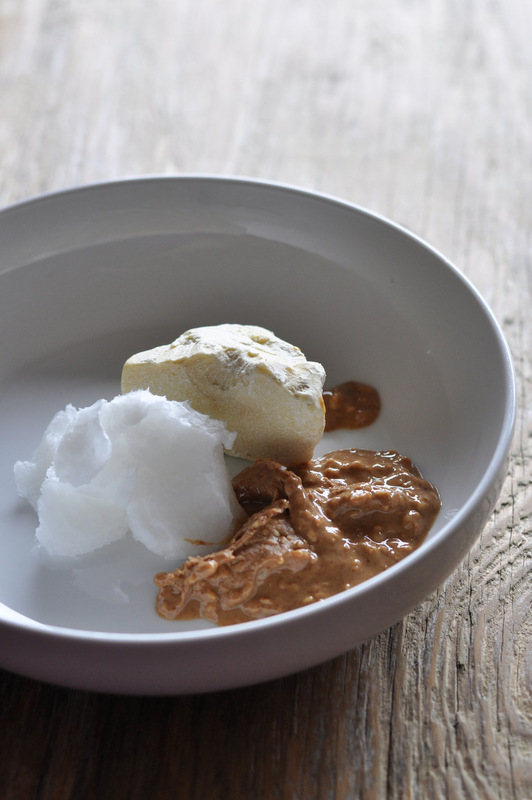 Melt the coconut oil, peanut butter and cacao butter in a bowl over a pan hot water. Once the fats are fully melted and liquid add in the maple syrup and the raw cacao powder. 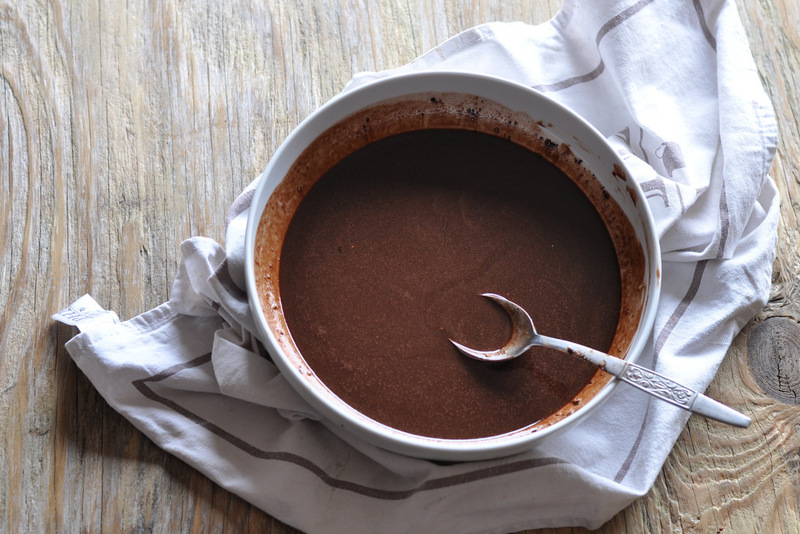 Stir for a minute or two until you have a really smooth cacao mix. Taste and add a little more maple syrup if you still think it is too bitter. Add in the pinch of salt. Remove the bowl from the stove and pour it all on to a tray lined with parchment paper. Let the mix cool slightly before transferring it to the fridge to set. 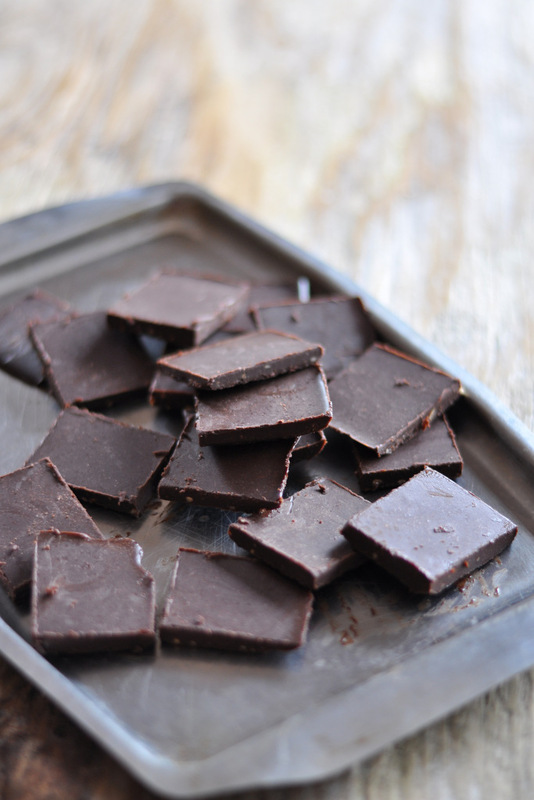 After a few hours take the tray out and cut your chocolate into small-ish squares. P.S Our firs Blogiversary is coming up next month so there is sure to be more chocolate involved then 🙂 Oh and there will be a great give away too!! I can’t wait to celebrate with you all. Alltså verkligen dags att jag också börjar baka med kakaosmör nu! Så less på den där smältande kokoschokladen (även om den är god <3). Detta ser ju himmelskt ut! Ja det tycker jag verkligen! RAw chockladen i det här receptet är lite “fudge liknande” eftersom den innehåller kokosolja men om du byter ut det mot enbart kakaosmör så får du chocklade som är som den “vanliga” chockoladen! I Stockholm kan det väl inte vara helt omöjligt att få tag på kakaosmör heller? Kul att du kommenterar här också! Hi Linn, this choc looks delicious and great idea to add the p butter -definitely going to try this. I make my own quite a lot and it keeps in an airtight box really well in the fridge for ages especially if its only me eating it, there isn’t much to go off!